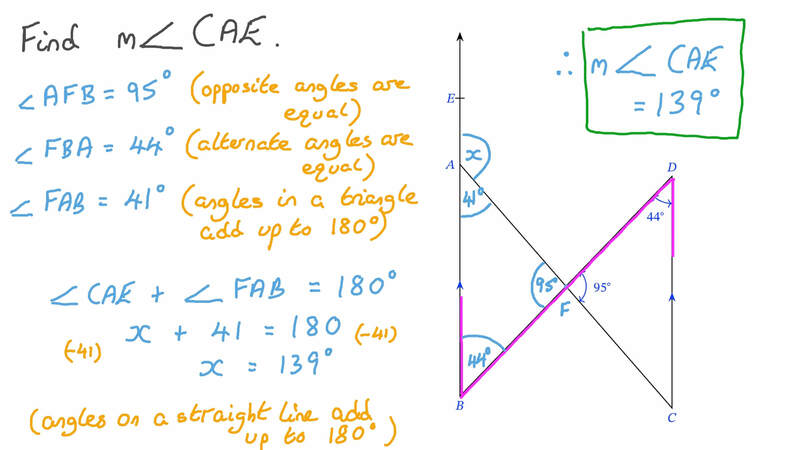 In this lesson, we will learn how to find the relationship between the angle measures of a triangle and compare between exterior and interior angles. 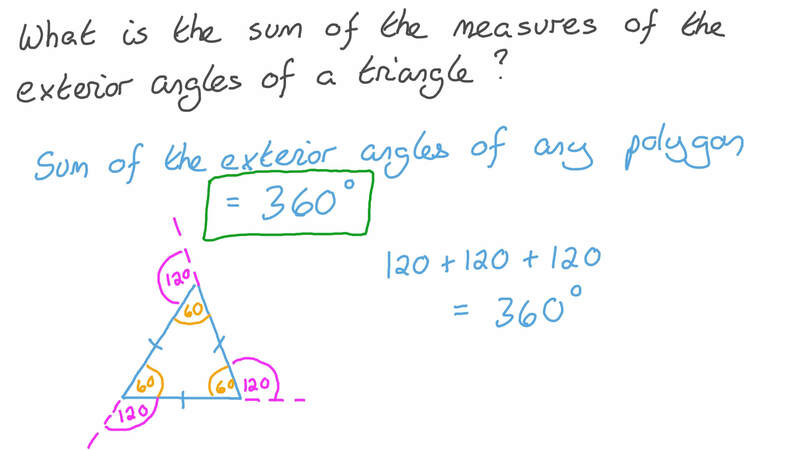 What is the sum of the measures of the exterior angles of a triangle? Is 𝑚 ∠ 𝐴 𝐷 𝑌 < , = , > 𝑚 ∠ 𝐴 𝐶 𝐷 o r ? The figure shows some angles identified on triangle 𝐴 𝐵 𝐶 . 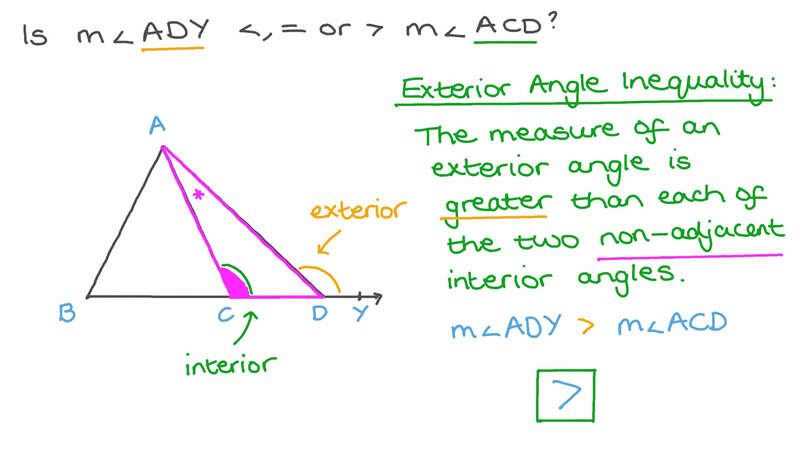 Identify which angle is an exterior angle. Identify which angle is an interior angle. Is the measure of two right angles less than, equal to or greater than the sum of the interior angles of a triangle? The figure shows the exterior angles of a given triangle. Find the sum of the exterior angles. What is the size of an exterior angle of an equilateral triangle? Find 𝑚 ∠ 𝐶 𝐴 𝐸 . Determine whether the following sentence is true or false: It is possible to draw a triangle on a plane with two obtuse angles. In a triangle 𝑋 𝑌 𝑍 , if 𝑋 𝑌 = 𝑋 𝑍 , what type of angle is the exterior angle at vertex 𝑍 ? Which of the following inequalities is correct?